I love looking at food photography of other bloggers. Healthy food or not, I find it so inspiring to see how others both create and demonstrate their food. After seeing so many beautiful versions of homemade Oreo’s or sandwich cookies, it was time I made my own! 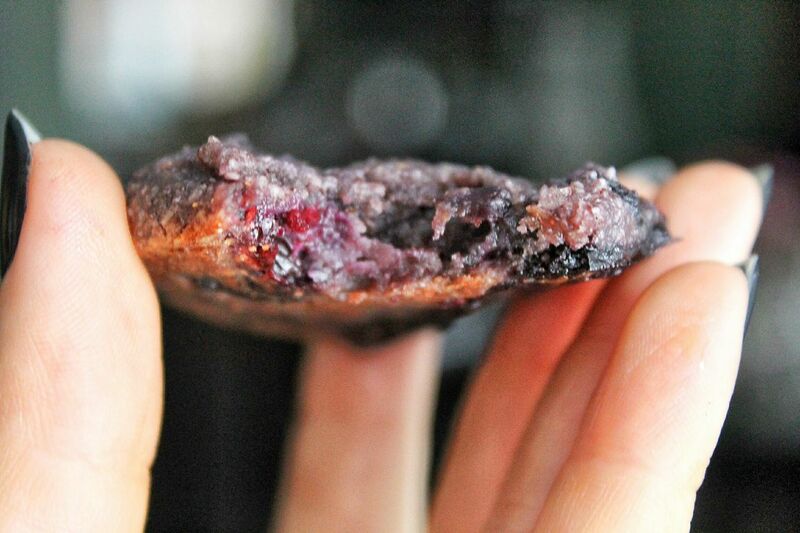 I had a visual in my head of a purple or blue cookie with a healthy Nutella filling. 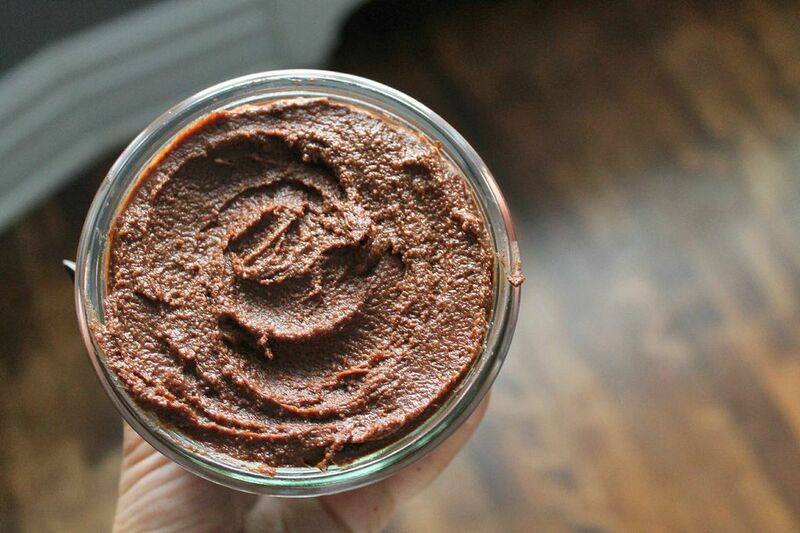 I love pear combined with chocolate hazelnut spread but I wanted to do something different! 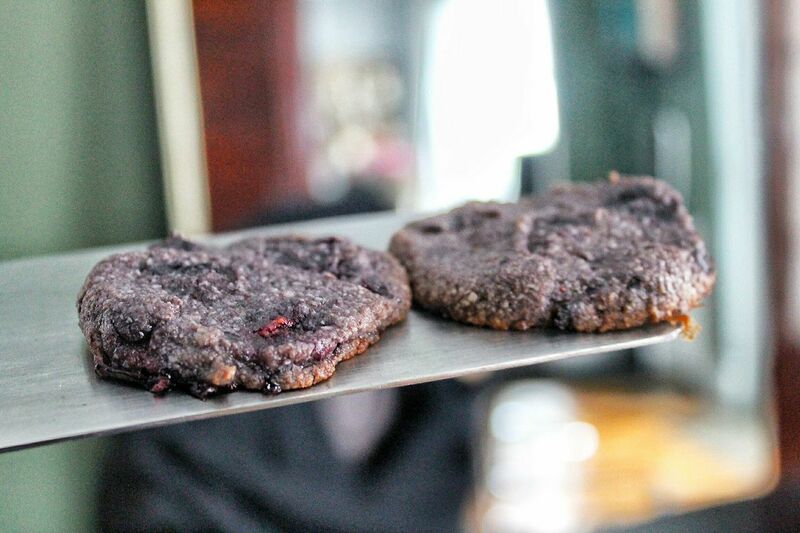 Back in the junk eating days, I would take a huge scoop of Nutella and put berries on top, so I figured why not inject this flavour into a cookie? 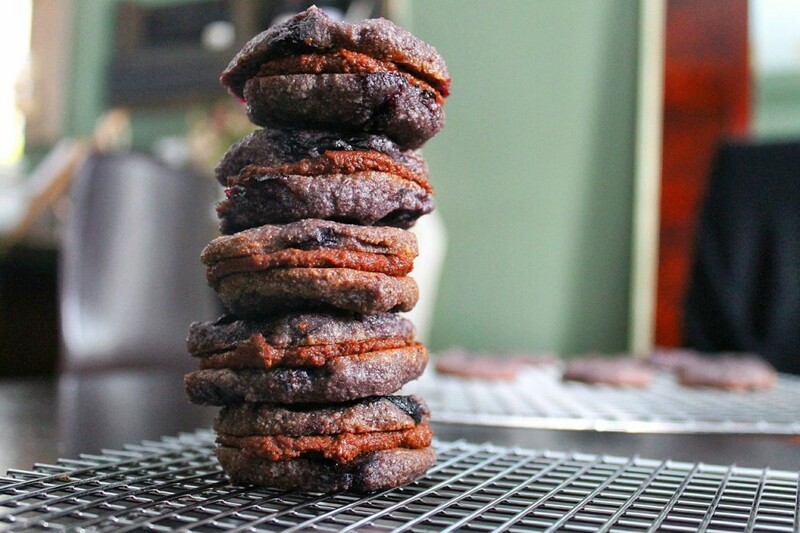 The almond base makes these cookies passover friendly.There are no leavening agents or grains. From what I understand, most of the ingredients don’t need to have a Kosher for Passover label because they are natures foods! BUT if you are strictly Kosher for Passover over the holidays, make sure to check with your local Rabbi or ask a knowledgable friend! 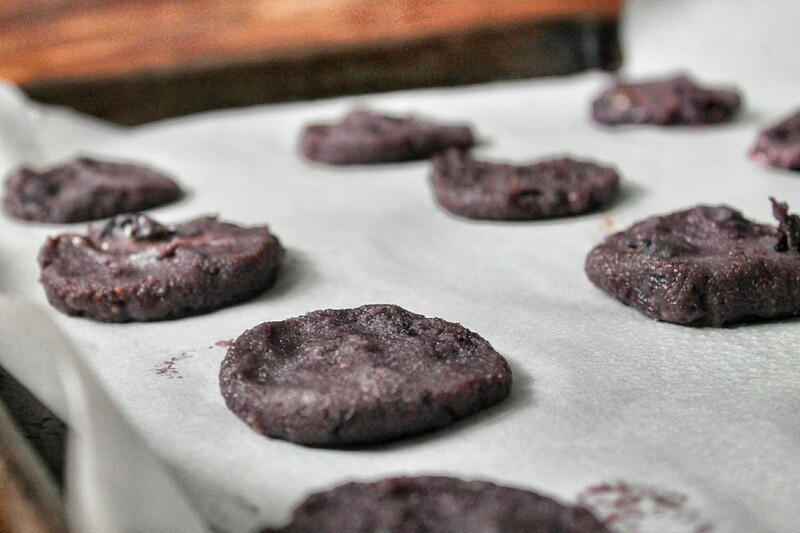 The lack of dairy in these cookies allow them to be served after a meal containing meat! Good on their own or with healthy nutella filling, these cookies are a flavourful gluten, dairy and refined sugar free treat. Hope you all love these and wanted to wish you all an early Happy Holidays!! 1.Preheat oven to 350 degrees F. Line a large baking sheet with parchment and grease with coconut oil. 2. In a large bowl, whisk together almond flour,ground (milled) flax and salt. 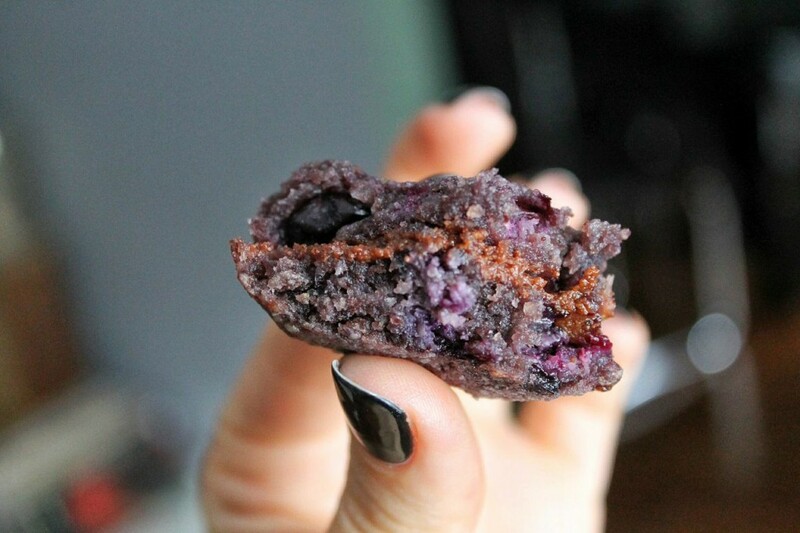 If your almond flour is lumpy sifting is a good idea! 3. In a saucepan on medium heat, begin to heat your maple syrup. 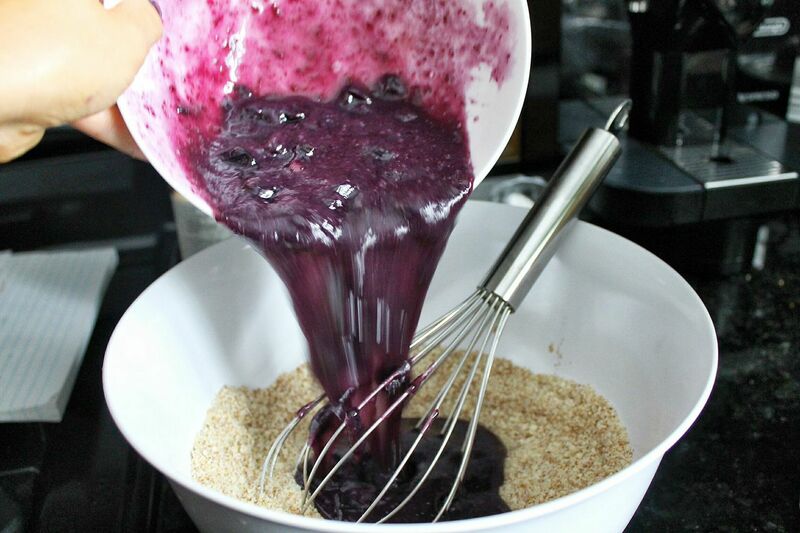 Once heated, add 1 cup of blueberries. 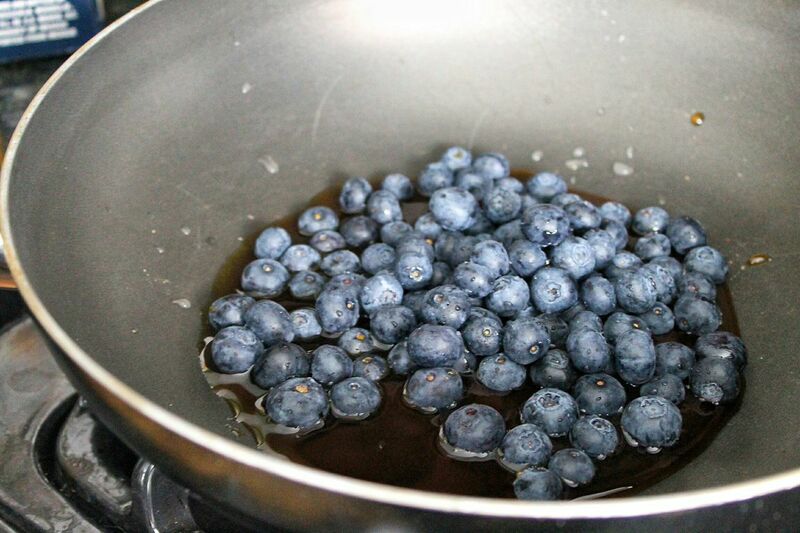 Allow to cook for 5-7 minutes or until the blueberries have exploded and begun to reduce in the pan. Whisk every 2 minutes. 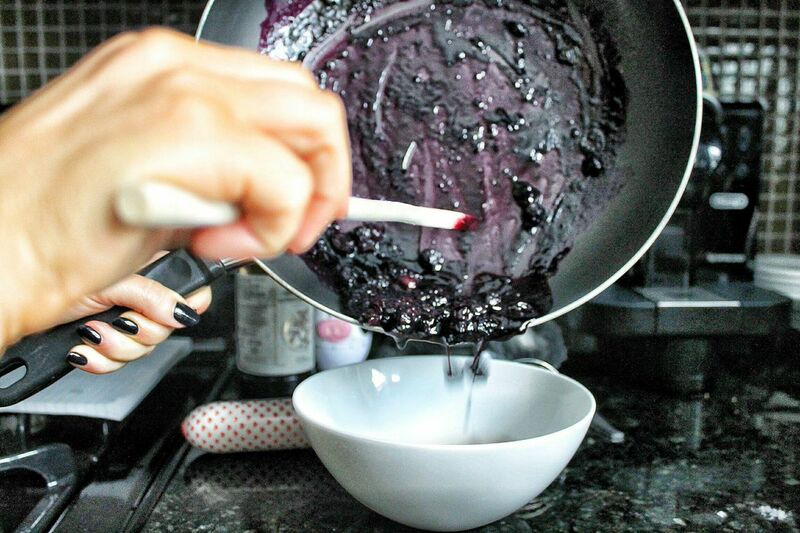 4.Once the blueberries have turned the syrup a beautiful purple colour and have reduced slightly, add your coconut oïl. Once the coconut oïl has melted transfer mixture into a small mixing bowl and allow to cool for several minutes. 5. When mixture has cooled, whisk in your egg, vanilla and lemon juice. 6. Add the wet ingredients all at once to dry ingredients. Stir mixture until combined and a dough forms. 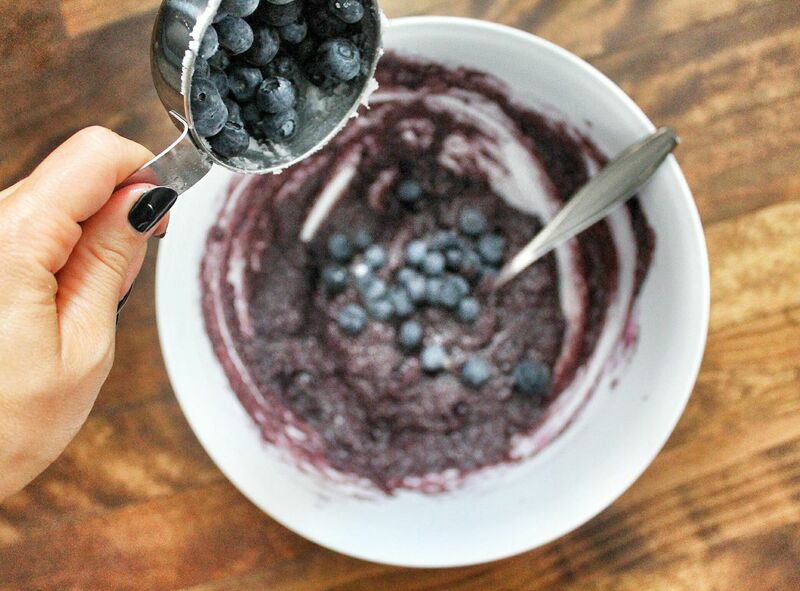 Add your remaining 1/2 cup of blueberries. 7.If your dough is too liquidy to form into balls then place in saran wrap and allow to rest in the freezer for 30-45 minutes. 8.Scoop the dough using a tablespoon and roll into balls. Place onto baking sheet. Using your fingers press the dough down slightly. 9. Bake for 25-28 minutes or until golden. 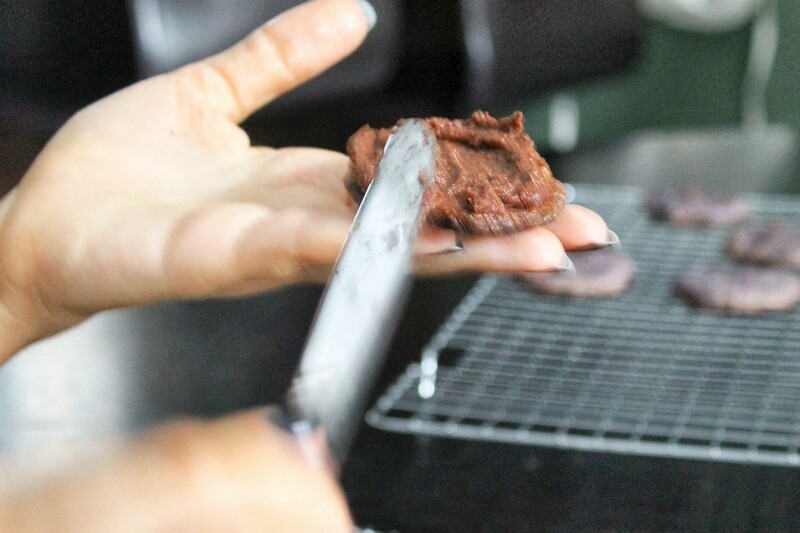 Allow to cool and then spread a generous amount of healthy hazelnut chocolate spread on the bottom of a cookie, sandwich it with another cookie, pressing firmly so that the icing comes all the way out to the edge. Store in an airtight container for up to two weeks! These were absolutely amazing! My friend made them for me and I need to make them ASAP! Thank you for sharing your healthy delicious recipes to the world! yay!! so happy you guys loved them!